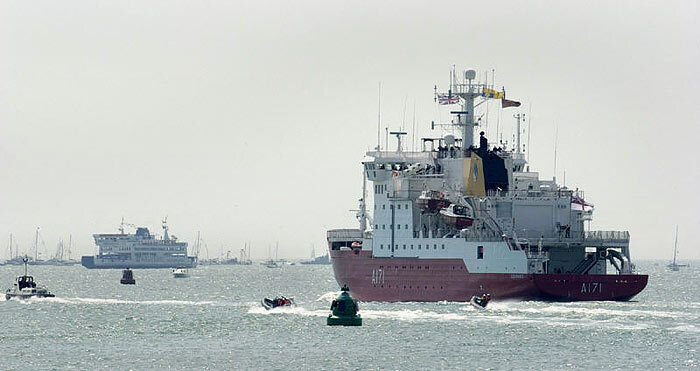 Her Majesty The Queen and Prince Philip sailed from Portsmouth aboard HMS Endurance to conduct a review of the ships taking part in the International Fleet Review. 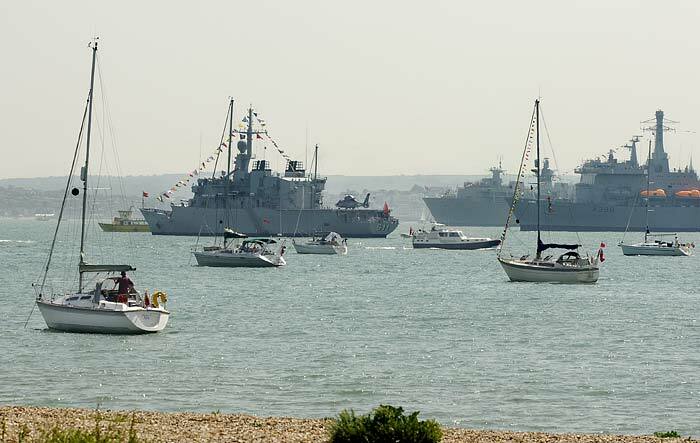 The biggest ever of its kind, the review was held in the Solent off Spithead and was the first major Spithead Review since 1977. 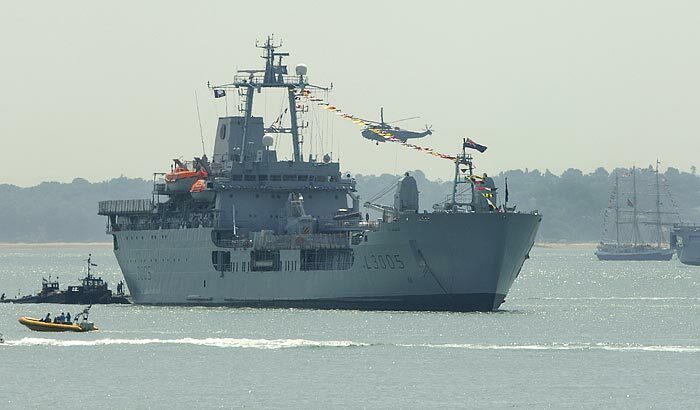 The Royal Navy hosted an international fleet made up of vessels from the navies of over 30 countries. 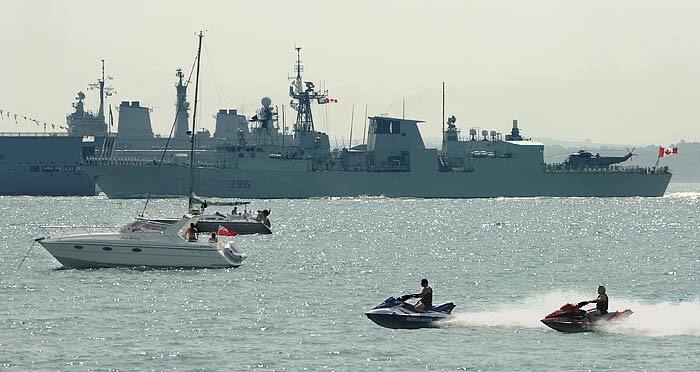 Many other craft, including merchant ships and some of the world's finest tall ships also participated in the 600-year-old tradition of a Fleet Review. 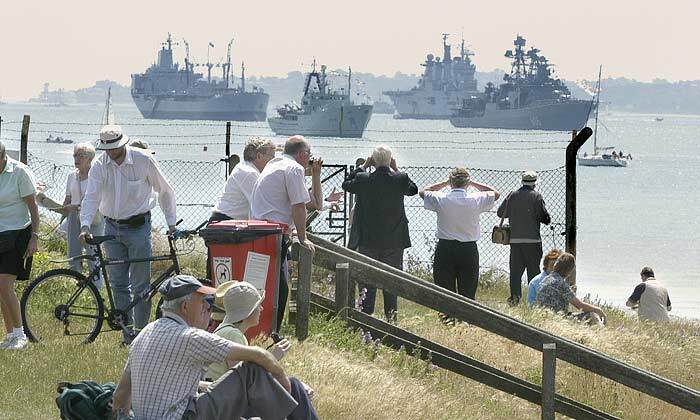 Less formal than usual, children and Sea Cadets from all over Britain were also involved. 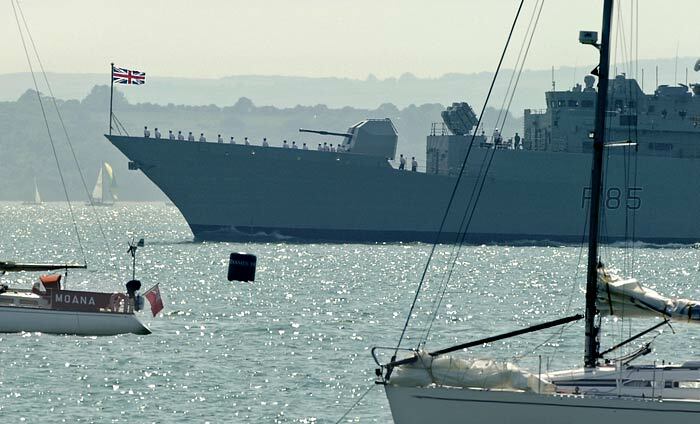 More than 250,000 spectators watched the review from the shore and onboard the many hundreds of yacths in the Solent. 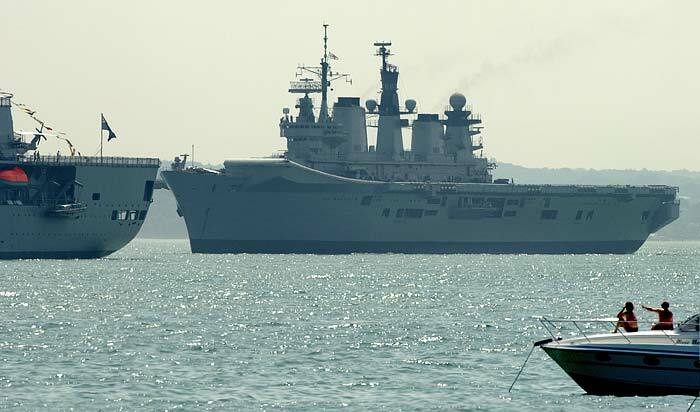 Most of the photographs were taken at the rehearsal on Monday. 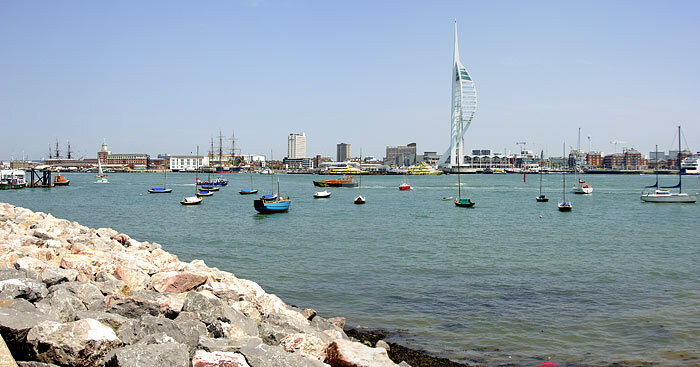 All at sea - An empty Portsmouth harbour dominated by the Spinnaker Tower. 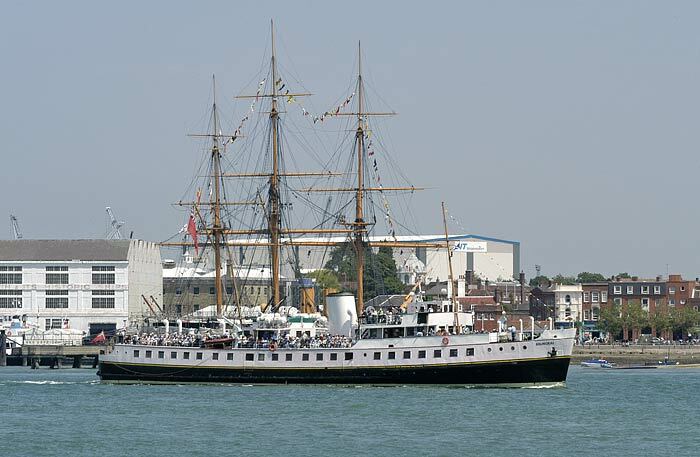 The masts and rigging on the extreme left belongs to HMS Victory while the other set belongs to HMS Warrior. 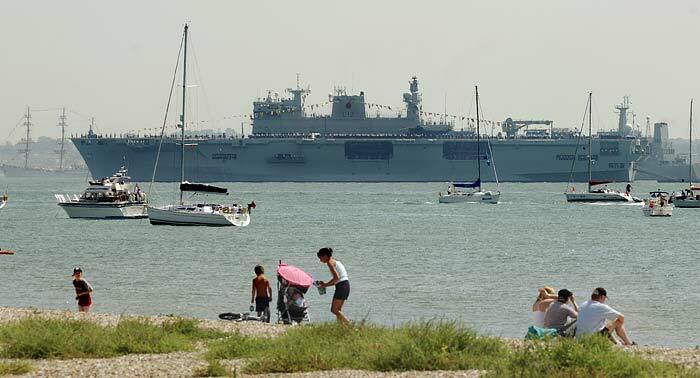 Click on the picture for an enlarged image. 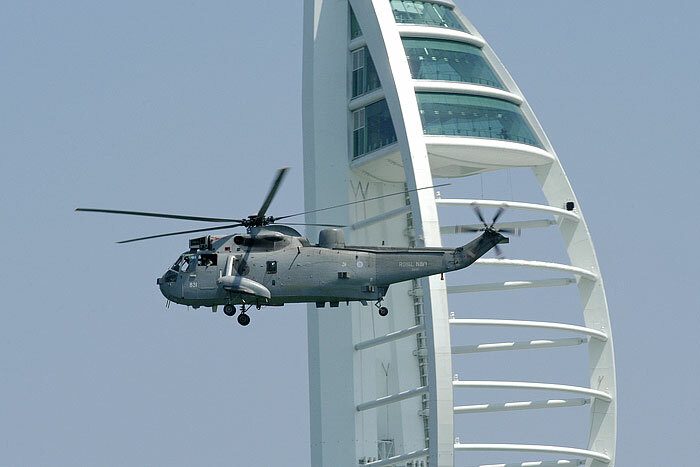 A Royal Navy Sea King from 771 Naval Air Squadron passes the viewing platforms on the Spinnaker Tower.